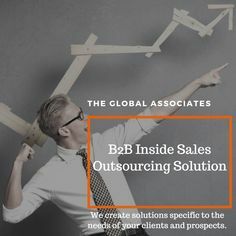 Creating fresh opportunities on a regular basis is very important, no doubt, for The Global Associates Telesales Companies, however, they must try to do a few things right to be more efficient and result-oriented in their approach. It’s imperative for telesales companies to operate with a definite sense of purpose and take care of every single stage of their operations in order to improve the conversion ratios and bag some lucrative deals. Following are some useful tips for managing your prospects more efficiently and making the most out of every existing lead. There is nothing wrong in considering your business as a number game, however, telesales companies just cannot undermine the importance of quality and focus solely on the quantity aspect. Focusing more on the quality of the leads you create can in fact help you improve your performance and results. Lead generation is a costly process; managing your existing leads in a more efficient manner is comparatively an inexpensive way of growing your business. The combination of state-of-the-art technology and effective strategy always works wonders for telesales companies. While CRM technology is helpful in sorting out problems and streamlining your process, a clear-cut, long-term strategy is essential to take you to new heights. A sales rep is the first person from your organization to get in touch with the prospect, they play a major role in your success, or failure. It’s necessary to impart regular training to keep them motivated and prepared to deliver the goods. They should be aware about what they are selling and how to convince the customer to try their products/ services. Managing their operations in an efficient and effective manner is the best way forward for telesales companies in order to achieve better results. It helps them improve their closing ratios, identify challenges and find solutions for them quickly enough.